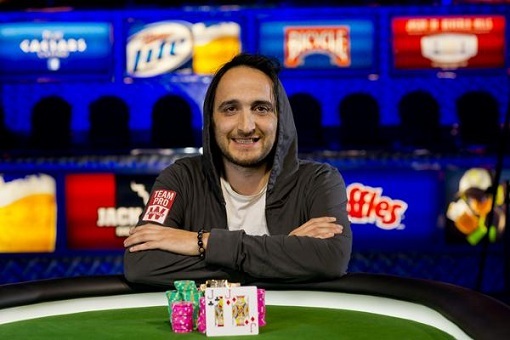 Add Davidi Kitai to the impressive list of poker Triple Crown winners. Now who’s on that list again? The most gripping story of the year…the one EVERYONE has been watching…the one everyone has been talking about…the one that has polarized the industry…the story that has ripped the industry in two, ended friendships, divided brothers…the story that every news outlet from ESPN to Al-Jazeera has picked up…it finally has come to a conclusion. 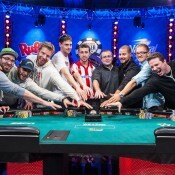 Davidi Kitai has captured poker’s ever-elusive Super Triple CrownTM. Kitai has won two WSOP events, plus a WPT, and an EPT event. That’s what makes up the Triple Crown, right? WSOP, WPT, EPT? Nothing else? Aussie Millions doesn’t count? LAPT? Epic Poker? 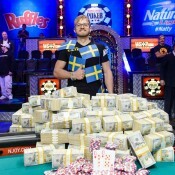 Kitai won 2013 WSOP Event #19 ($5,000 Pot Limit Hold’em), defeating a final table that was studded with stars. The win earned Kitai $224,560 and his first bracelet. 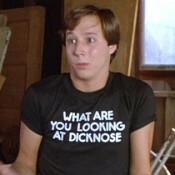 Cary Katz, he of obscene wealth from his college student loan business, finished second for $138,794. Other notable finishes include Eugene Katchalov (5th – $58,912), Kristina Holt, a woman (6th – $44,844), Bertrand Grospellier (7th -$34,341), and Dario Mini-eri (8th – $26,468).